I pretty much Scraplifted the design of the card. I mean why not...it's beautiful as is. 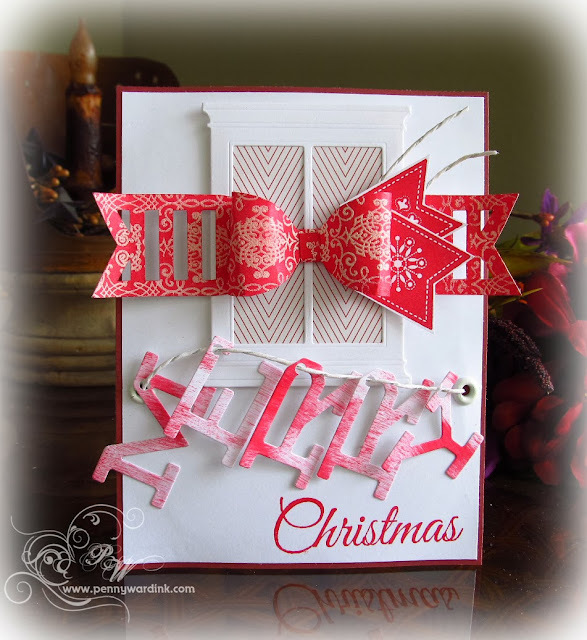 As you can see, I adapted it for a Christmas card using red and white. LOVE that bow!Q And the window with the pattern paper! So cute! Thanks for the inspiration! Hi, Penny! I am a first time visitor to your blog and am lovin' all of the PB goodness I see here. I especially like the way you interpreted the case study sketch - the red and white is very elegant!! Such an absolutely fun filled card! Love how you were inspired! Thanks for play with us over at CASE Study! 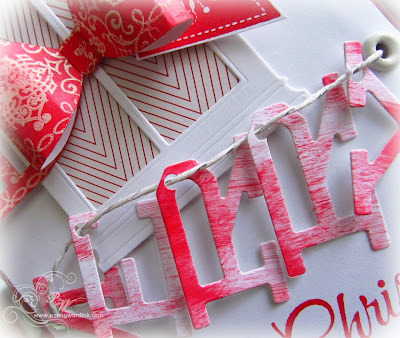 Fabulous card, love that big bow! Thanks for joining us at CASE Study this week! What a delightful Christmas card! That big, bright bow just grabs your attention! Thanks for playing along with us at CASE Study! WOW! Love this awesome design!